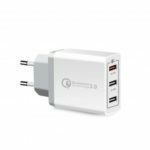 This USB Power Adapter provide multiple USB charging interface can charge the battery at the same time for multiple digital devices/power supply. The built-in over voltage, over current, the leakage and short circuit protection module, adopt high quality high temperature resistant fireproof material,effectively to ensure the safety of equipment. 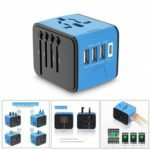 With worldwide 100-240V AC input voltage, the USB charging station supports 6 ports charging simultaneously and rapidly. Great and enough for family use with only one USB Charging Hub. 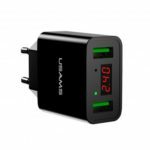 Supports up to 3.1A charging, greatly shorten the charging time, saving your time. Intelligently identify the connected device and provide proper current, prolong using life. Provide over-current, over temperature, over voltage, short circuit protection and etc, keep the connected device safe. 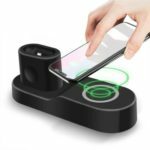 Works with iPhone, iPad, Samsung Galaxy, other cellphones and tablets. The portable charging also works with cameras, headsets, speakers,drones and kindle which with USB charging port.